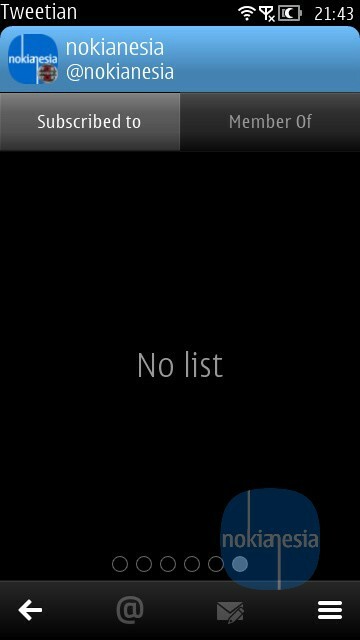 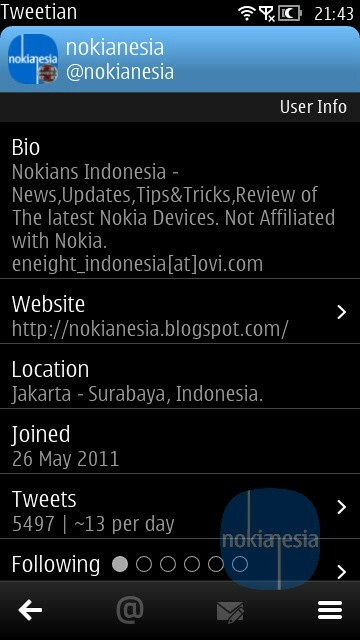 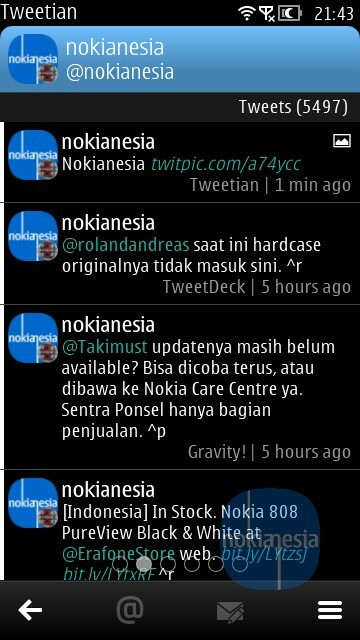 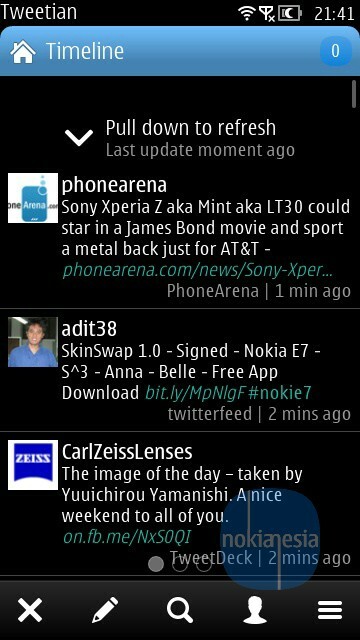 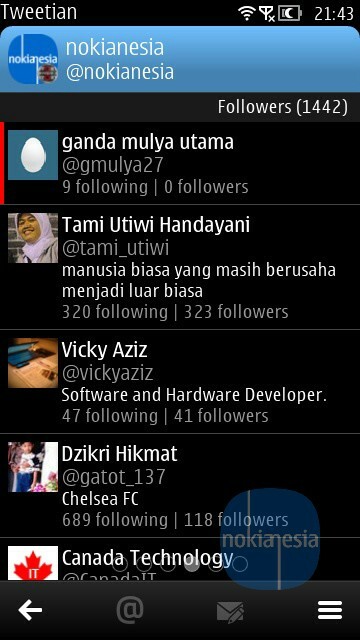 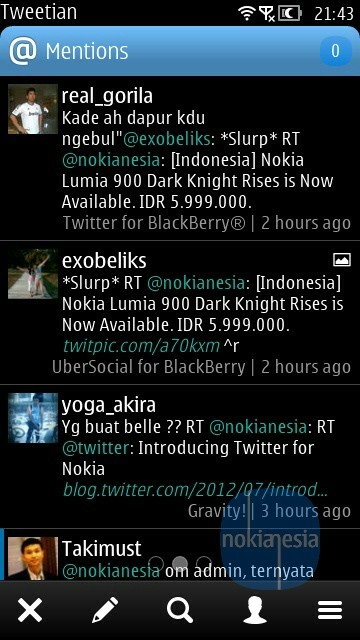 Another free, rich and powerful twitter client for Nokia Belle & Meego OS is available on Nokia Store. 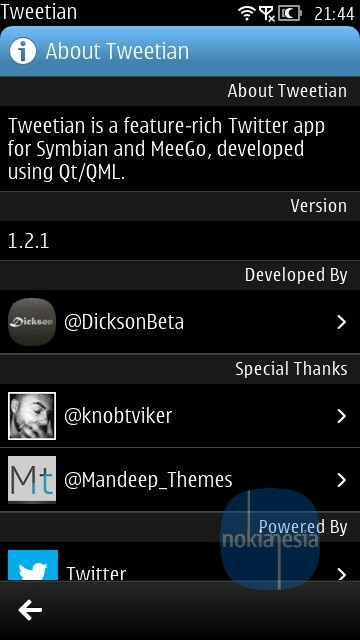 Tweetian is developed by "Dickson" using QT/QML Based. 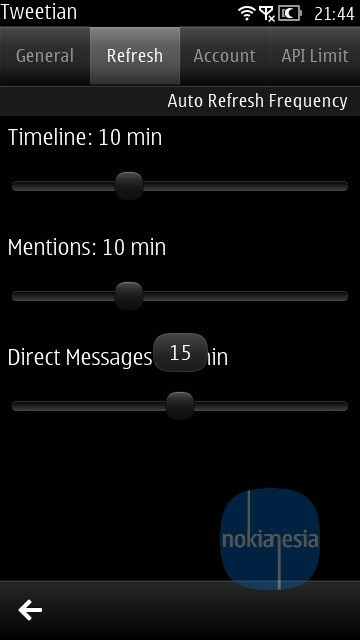 This application is a lot of twitter's features and also simple, fast and good fluid.
" 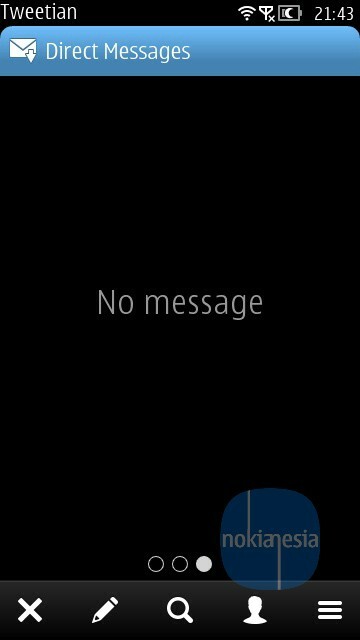 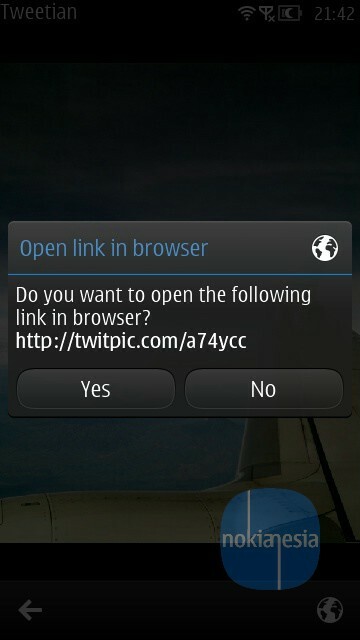 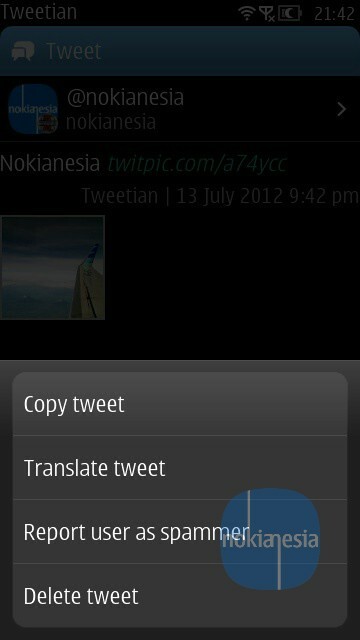 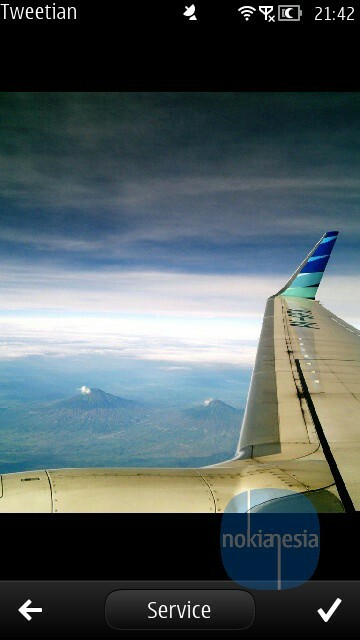 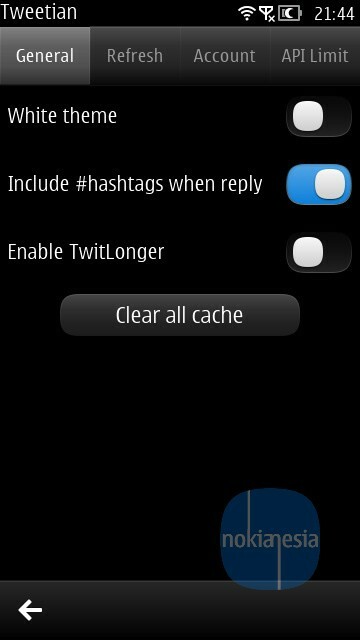 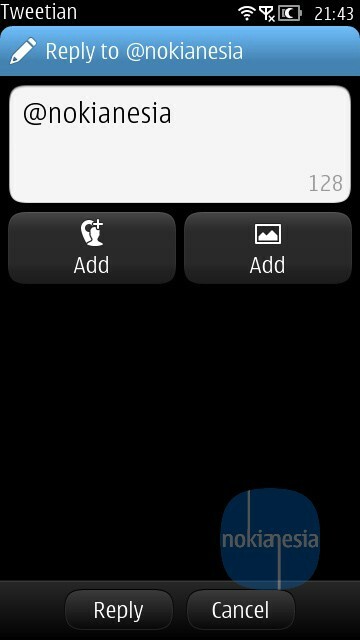 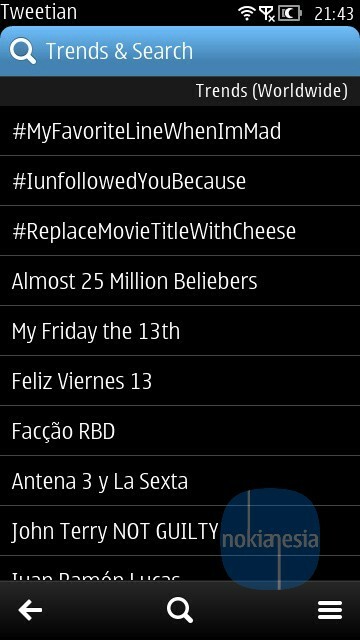 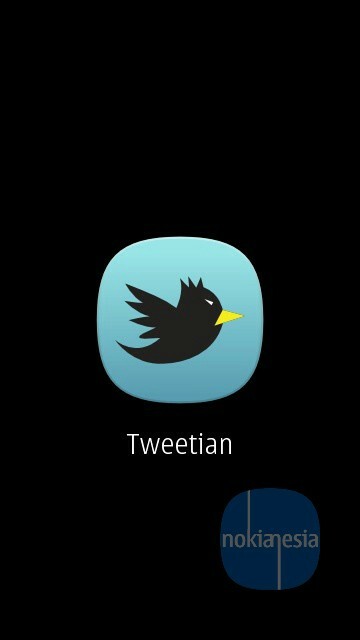 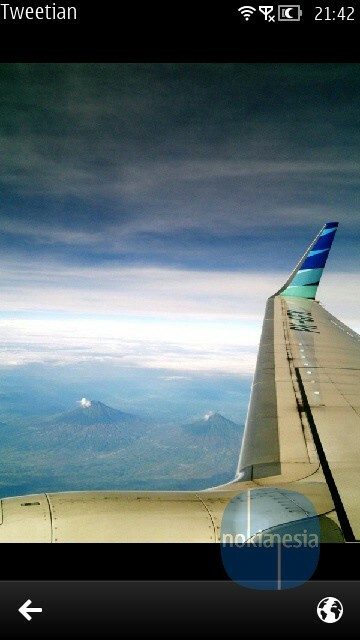 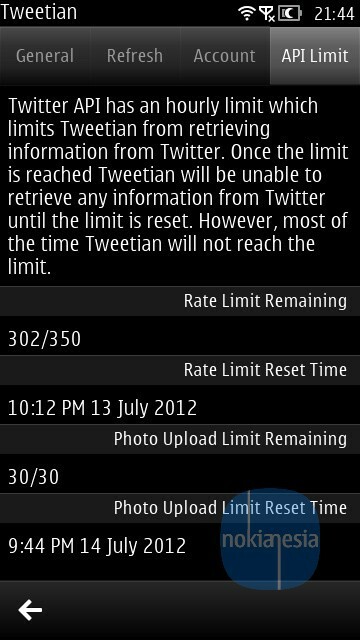 Tweetian is a feature-rich Twitter app for Symbian and MeeGo, developed using Qt/QML. 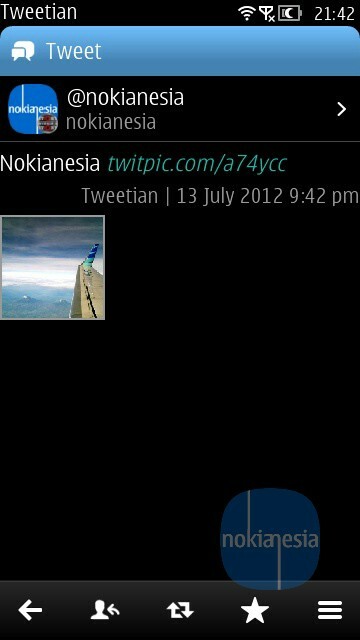 With the intense use of Qt Quick Component, Tweetian comes with a fluid and native UI. "